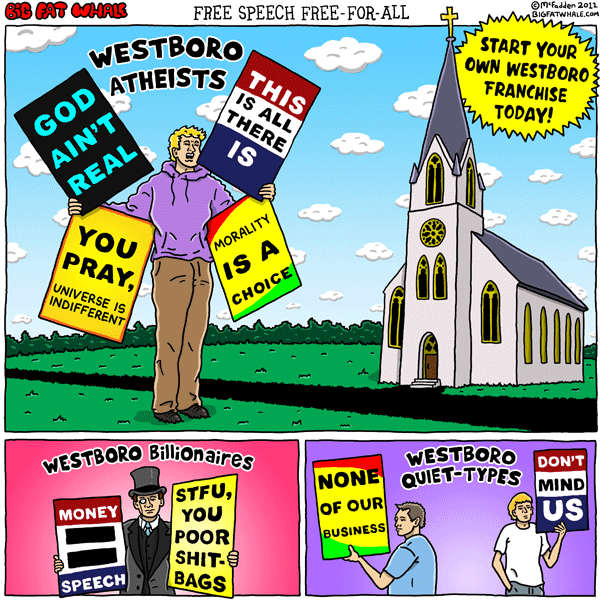 Start your own Westboro franchise today! Westboro Atheists "God ain't real." "This is all there is." "You pray, universe is indifferent." "Morality is a choice." Westboro Billionaires "Money equals speech." "STFU, you poor shitbags." Westboro Quiet-Types "None of our business" "Don't mind us." Money equals speech, so 99% of us are mute.